How many chickens do you weigh? How tall are you in apples or inches or pennies? Can you use your foot as a ruler? 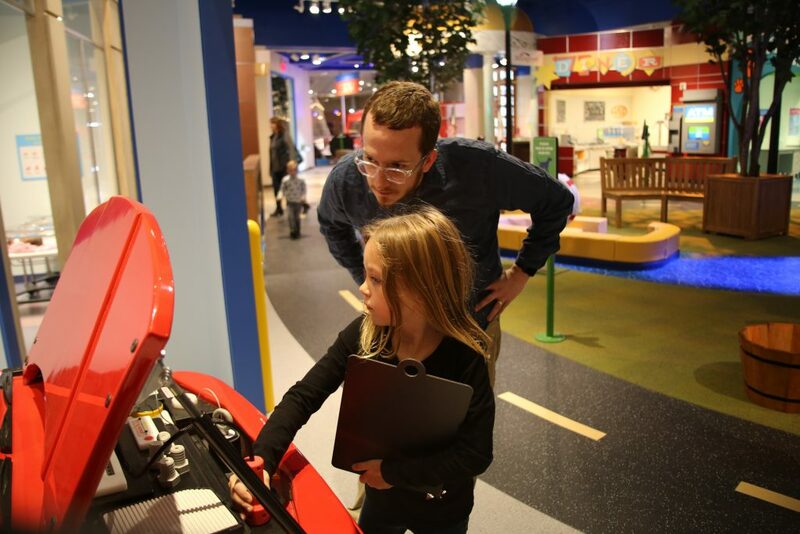 The answers to these and other questions can be explored at Measurement Rules, a brand new interactive exhibit in the Avampato Discovery Museum! It might be common to measure using standard tools such as measuring tapes and vessels – but the Measurement Rules exhibit will explore some nonstandard ones such as balancing scales, odometers, calipers, 3-D imaging and counting “Mississippis.” You can explore concepts of length, time, volume and weight in a variety of ways! Enter a town much like Charleston but on a kid’s scale. In My Town, the kids have the jobs, get to spend (imaginary) money and participate in fun activities every day! Will your child be a veterinarian today? What about a mechanic? They can even be mayor! 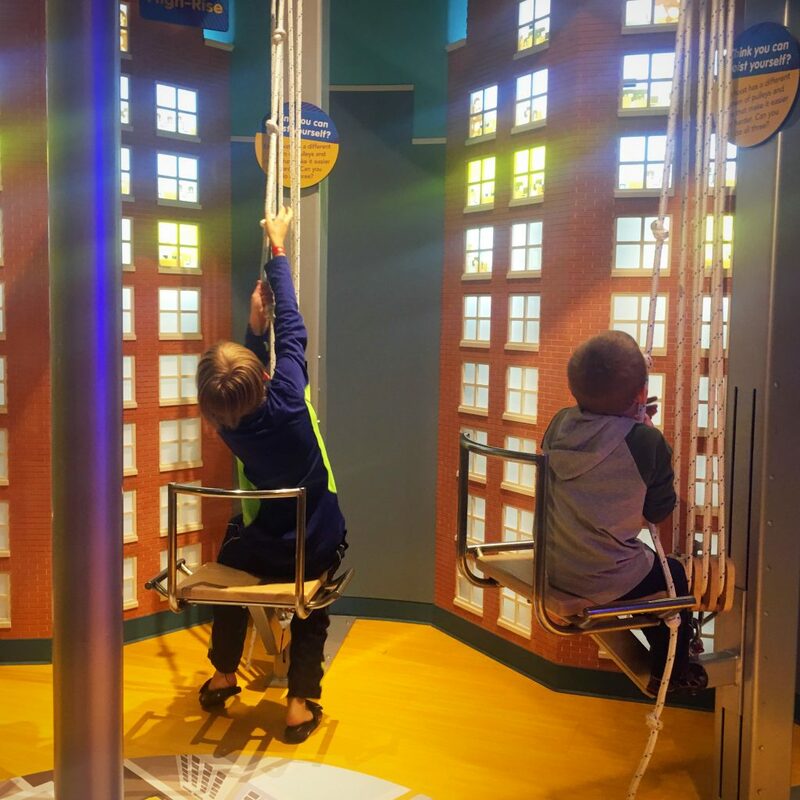 The possibilities are endless in this hands-on city of fun. focusing on the human body in motion, Healthy Me will provide a safe environment for guests to test their physical skills, and help them learn why regular physical activity is essential to their health. 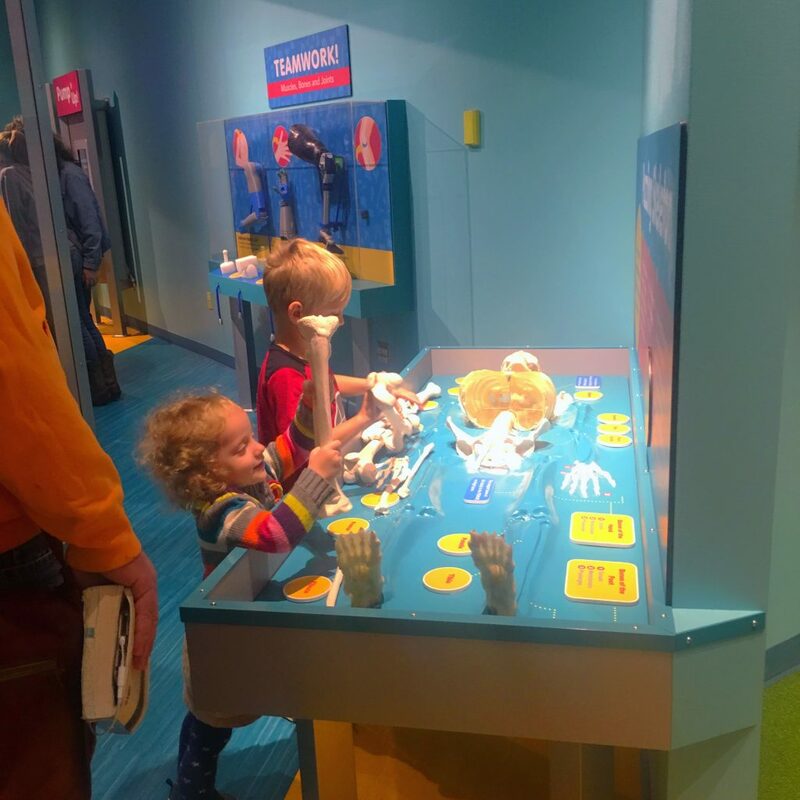 Within the exhibit, guests will investigate body systems (skeletal, muscular, circulatory, nervous, as well as organs) to learn about their function and how they work together. They will also measure themselves as they stretch, raise their heart rates, test their balance and reaction time, and try to increase their skills at various sporting events. Healthy Me will help guests understand that engaging in healthy lifestyle choices now will reduce risk of disease later in life and will allow guests to challenge themselves physically and receive positive feedback in exchange for effort. 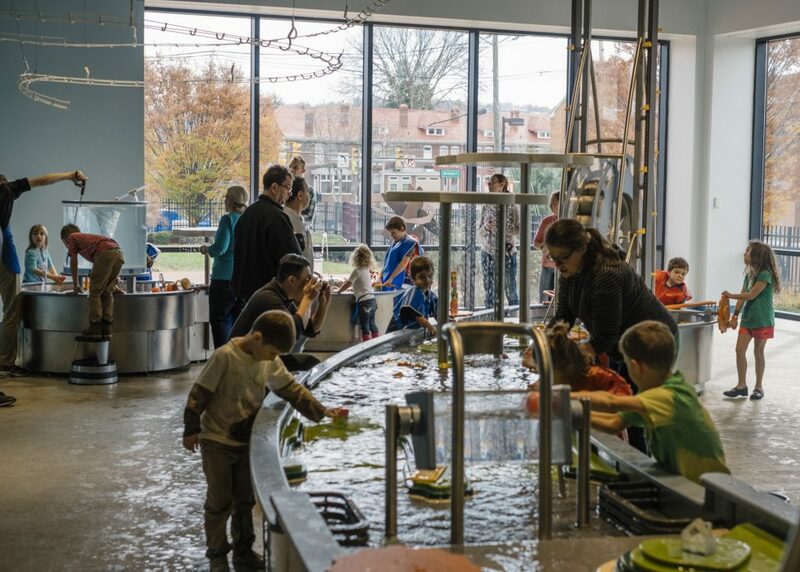 In WaterWorks visitors play and work with water along sweeping flow routes, dramatic water falls, controlling the water to animate and energize everything in its path in an expression of water’s power. Along the way, they will experience the potential, kinetic and mechanical energy of water. 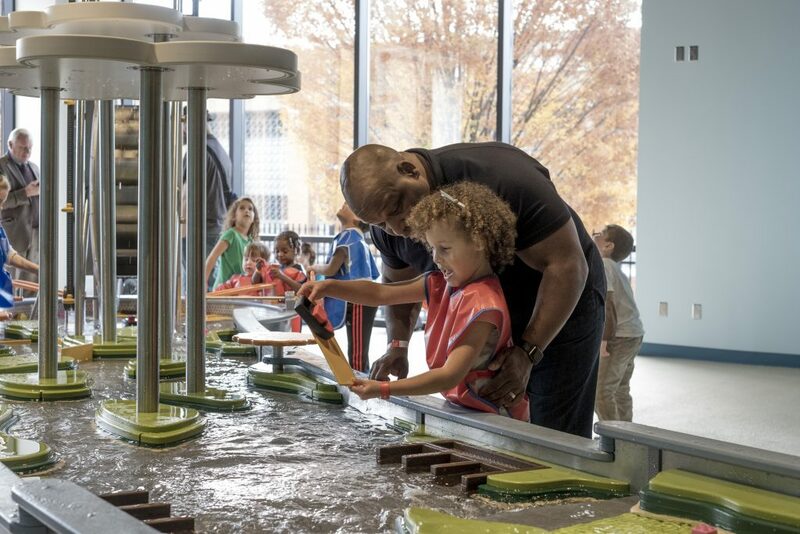 Activities include turning a large water wheel to generate “electricity”, opening and closing a dam’s water into the river, guiding boats through a lock system blocking, releasing and re-routing water, and many other engaging activities, including water play (funnels, scooping and pouring) for toddlers. 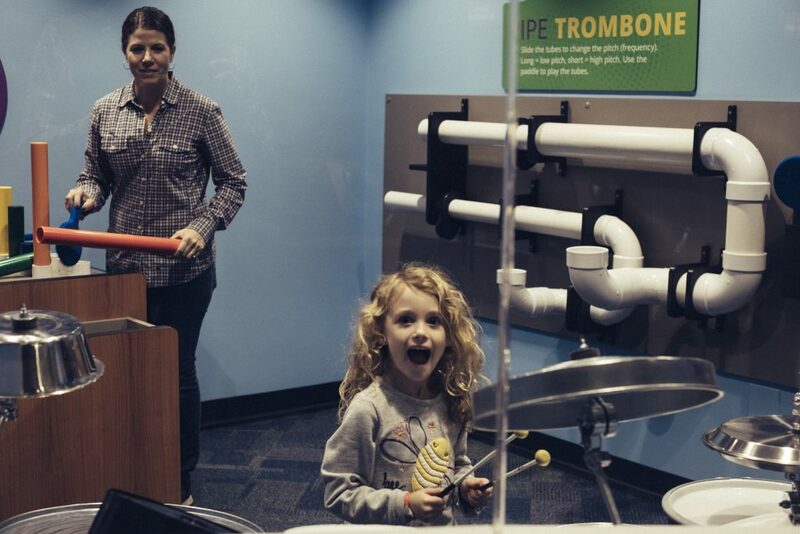 Generously underwritten by the Maier Foundation, the Maier Foundation Music Studio is a place where visitors make and explore music together. 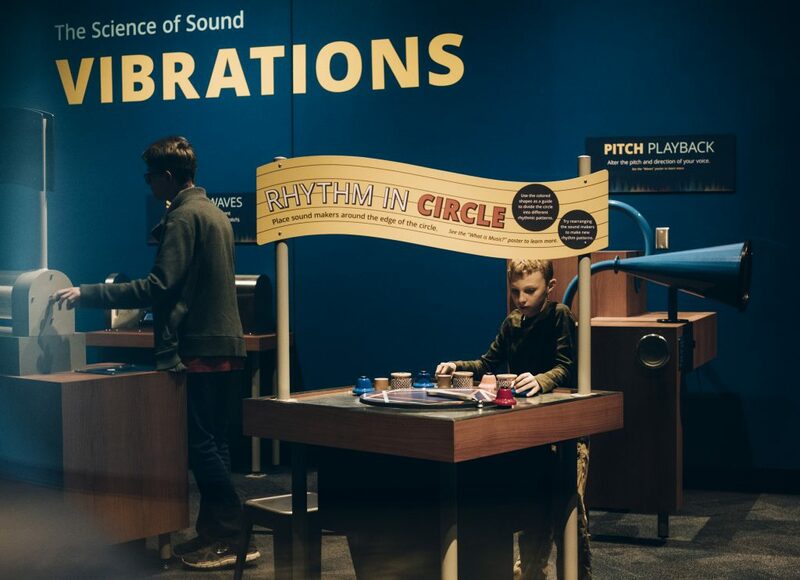 Visitors see, listen to, move to, and create their own music; examine the scientific foundations of music they hear; and explore the mathematical concepts of rhythm, pattern, and harmony. Some instruments will, at first glance, be a puzzle – how can this thing make music? Other instruments will appear to play themselves. 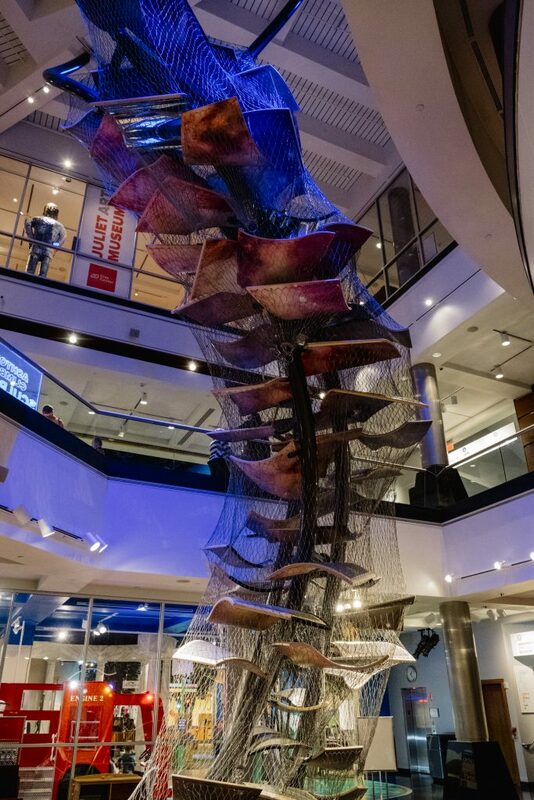 Group “events” can be seen throughout the space: a multi-station futuristic music machine, a circular thumb piano that multiple people can play simultaneously; a giant slinky suspended overhead that teaches children the basics of longitudinal waves. At the Recording Studio, visitors play sound engineer mixing “tracks” of a song to perfection. The exhibit is comprised of four basic areas: Experience Music, the Instrument Studio, Composing and Good Vibrations. Explore art in new and exciting ways! The Juliet Art Museum is now home to a brand new, interactive Art Space! In Art Space guests of all ages can explore basic art principles while having fun! Spin the wheel of color and learn about the basic elements of color and color theory. How do we perceive color and what the context of color? 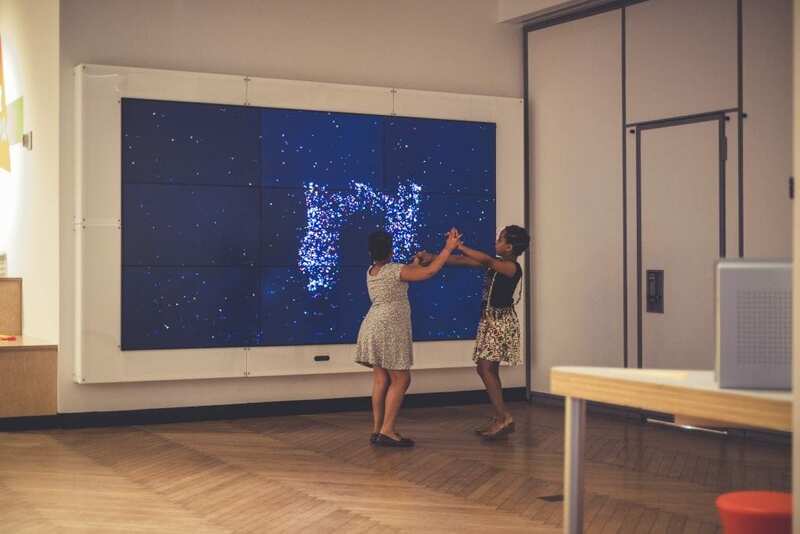 Explore digitized art and the basics of digitized illustrations on our giant pixel wall! 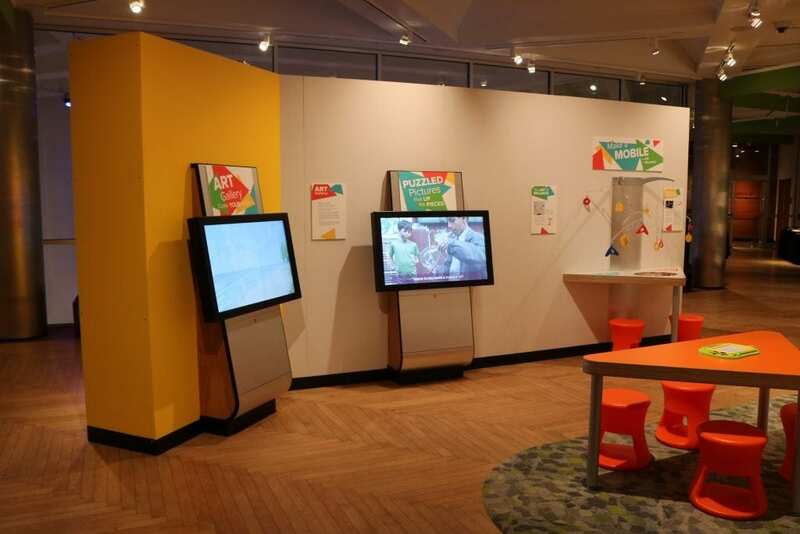 Test your balance by making your own mobile, create your own mural and curate your own exhibition! The creativity doesn’t stop there – budding film makers can explore stop motion animation and make their own films. Experience design, prototyping, analysis and redesign! 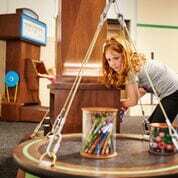 Build crazy blue structures with Imagination Playground blocks, design and test the fastest race car, discover what materials make the best flying machines and test a catapult in this one of a kind exhibit. See all three stories of the Clay Center from a new perspective as you climb a work of art. 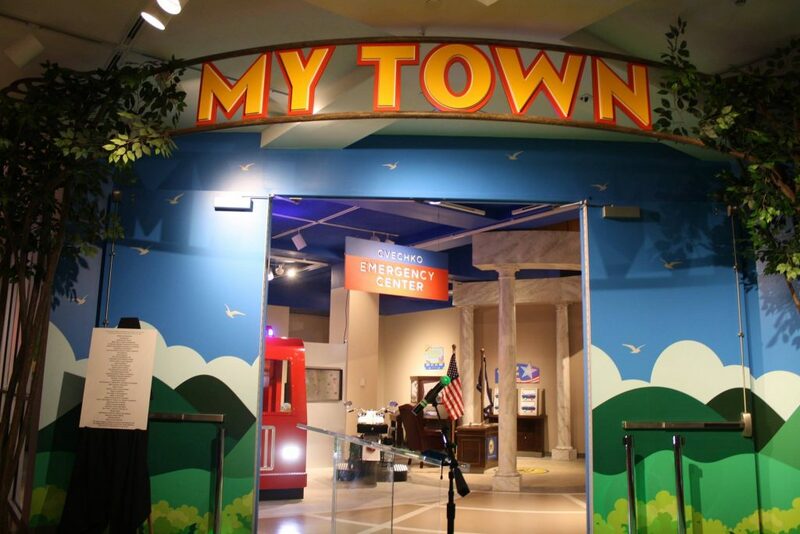 From kids to adults, everyone can take part in this interactive exhibit.